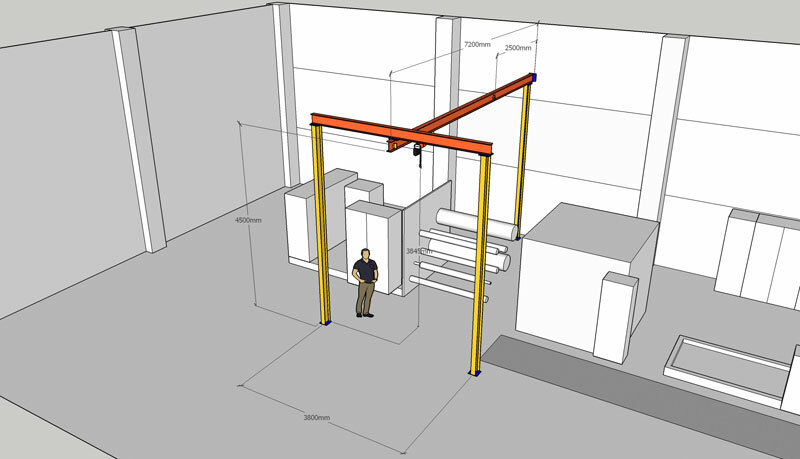 From working drawing to a ready solution in less than a month. 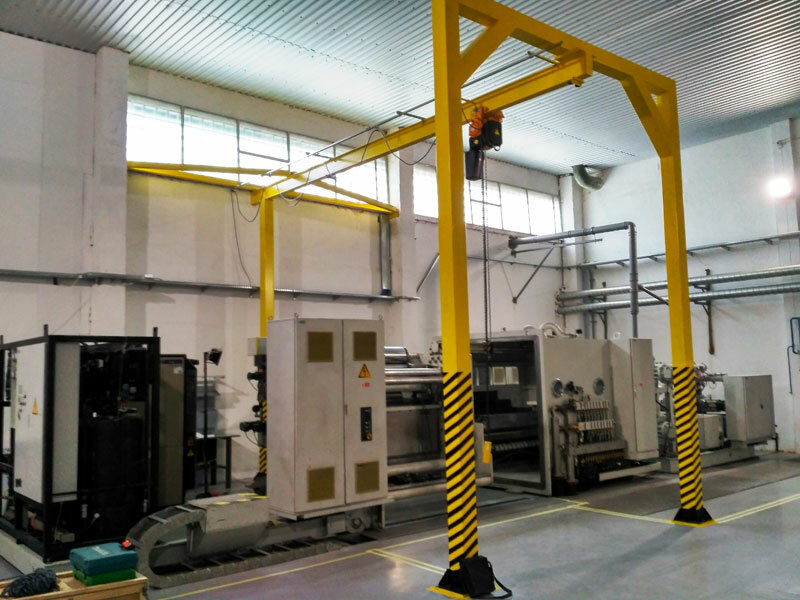 In March 2017, we received a request for a "turnkey solution", which included: design, manufacture and installation of a monorail telfer ramp complete with a traverse for lifting rolls. 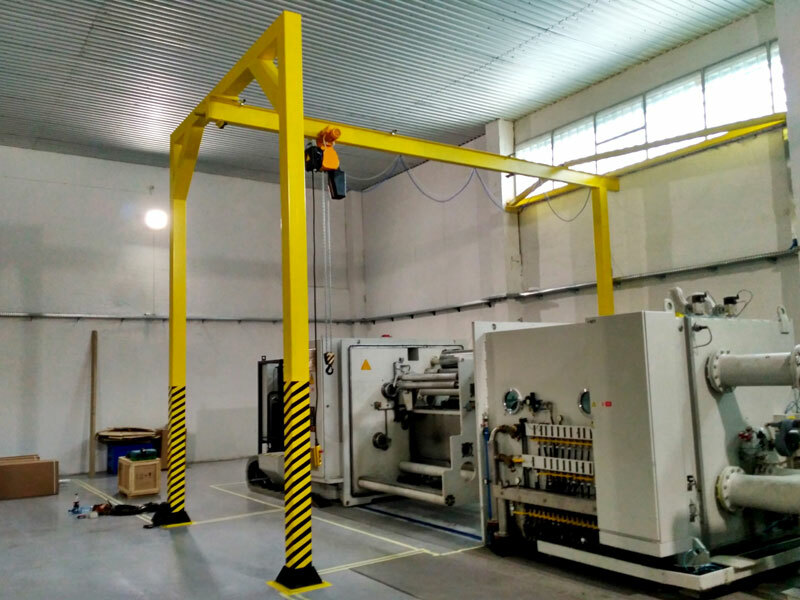 Our regular customer, a leading manufacturer of packaging and capacitor films, has compiled a detailed task for which the working drawings were made and approved in the design department of «Kyiv Crane Machinery Plant LLC». 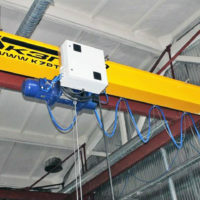 Especially for this project was ordered chain hoist electric plant Skladova Tehnika (Bulgaria). 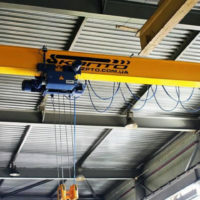 The compact dimensions of the electric chain hoist made it possible to make the most of the working space in the Customer’s workshop. A thoughtful decision that allowed to buy a hoist in a quantity of 1 pc. 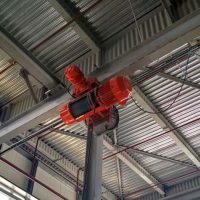 instead of two, there was a steel adjustable limiter for the lifting capacity of the hoist engine in the range from 600 kg to 1000 kg, which was a mandatory requirement of the Customer’s technical specialists. 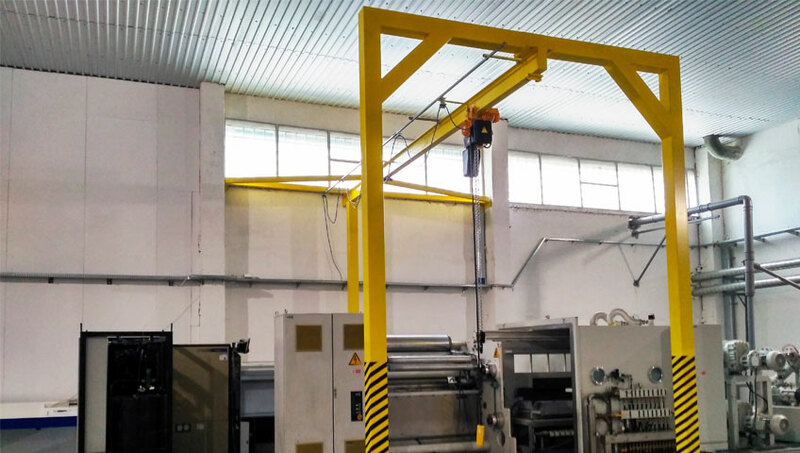 A little more than a month it took the team of the «Kyiv Crane Machinery Plant LLC» plant to turn the Customer’s wish from drawing on paper into a ready-made solution! 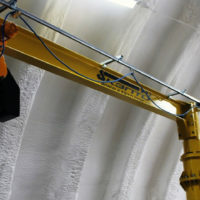 Upon completion of manufacturing and installation, the specialists of «Kyiv Crane Machinery Plant LLC» carried out control tests with a load on static and dynamic loads, issued a technical report on the installation work, as well as passport and authorization documentation for commissioning in the bodies of the Rivne Technical Expert Center .